Every year in December the New City Moving team heads out to Toys’R’Us and pretend to be kids again. We go through the store and pick out our favorite childhood toys, a few we always wanted, and cool new toys we didn’t even know existed. As the receipts get longer everyone’s smiles get bigger. What is a day full of fun for us is also a chance to help out the children of Chicago. Chicago’s 14th district police station collects piles of toys every year to hand out to the less fortunate children in their Ward. They receive nominations from teachers and principals of families in their district who are dealing with hardship. This year they will be reaching out to more families than ever before and we feel lucky to be participating in such a great event. Teaming up with Sgt. Reyes, Sgt. Chavez, and their squad has been one of the events we look forward to every year. 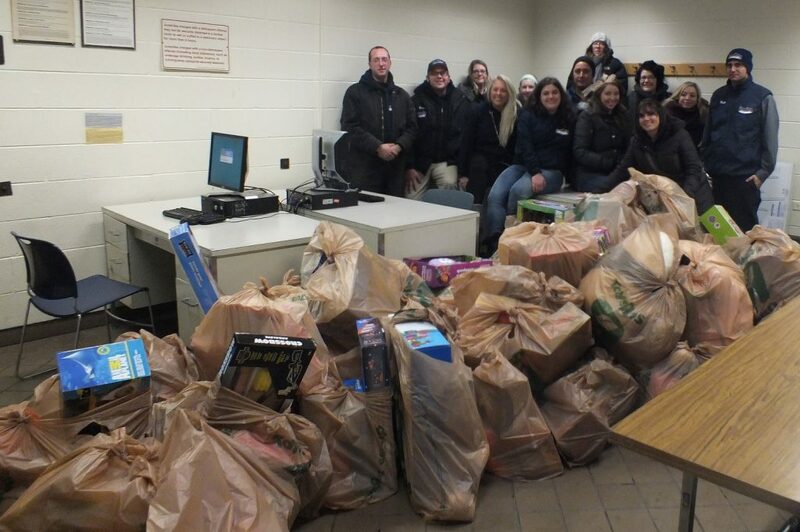 This year we were able to donate over 705 toys! Just knowing that these children will have a great Christmas makes our holidays even happier.